Select your used truck mounted forklift from a collection of used forklifts for sale in second hand market at the best prices! Make a selection, compare few used piggyback forklifts and buy the best deal here! What is a Truck Mounted Forklift? Truck mounted forklifts are an asset to distribution companies; they can be attached to the back of a goods lorry, travel wherever it goes, then be quickly dismounted and used to load goods, all in a timely fashion. It is a strong, yet lightweight piece of loading equipment that is attached to the back of a lorry and transported wherever the lorry goes. 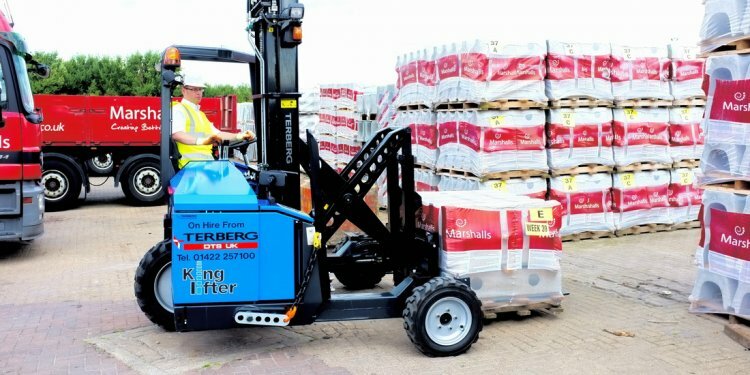 The forklift can safely move up to 3.5 tonnes of weight from the lorry to delivery point, depending on the model; and thanks to their agile nature, they are perfect for using in environments that are harder for bigger machines to access and navigate, such as construction sites. Truck mounted forklifts were first designed by the company MOFFETT, who are still producing them today. Other manufacturers that make piggyback forklifts for sale include MANITOU, LOADMAC and KOOI AAP.